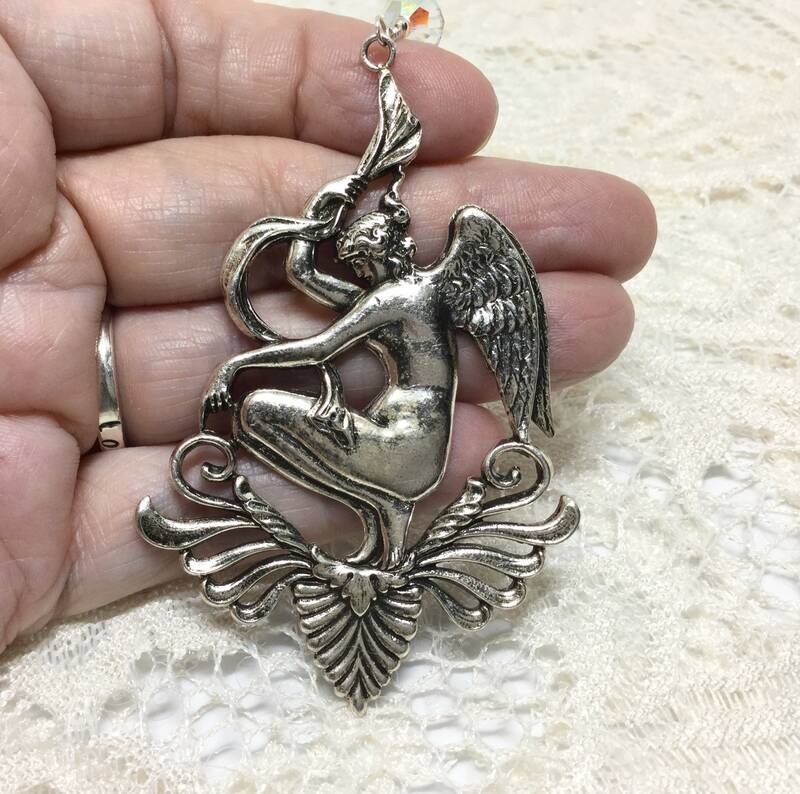 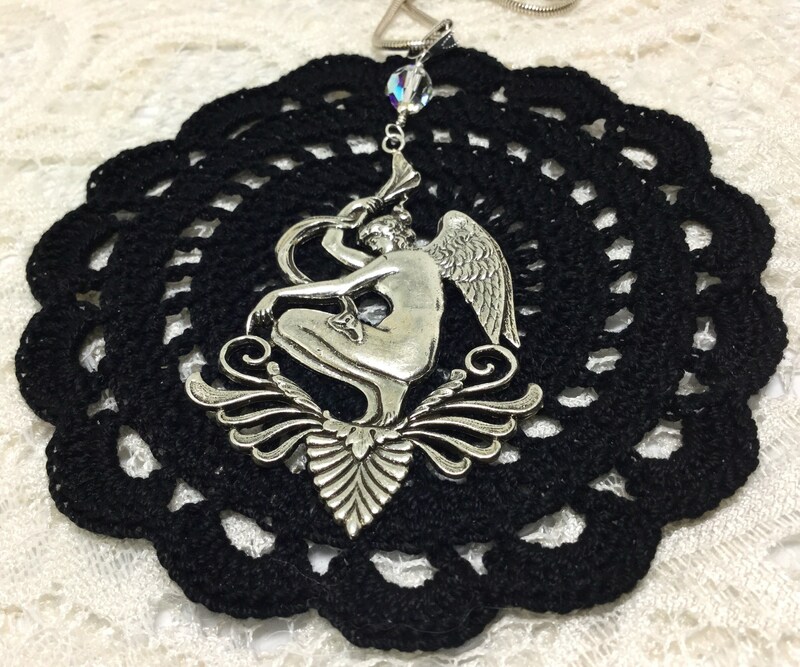 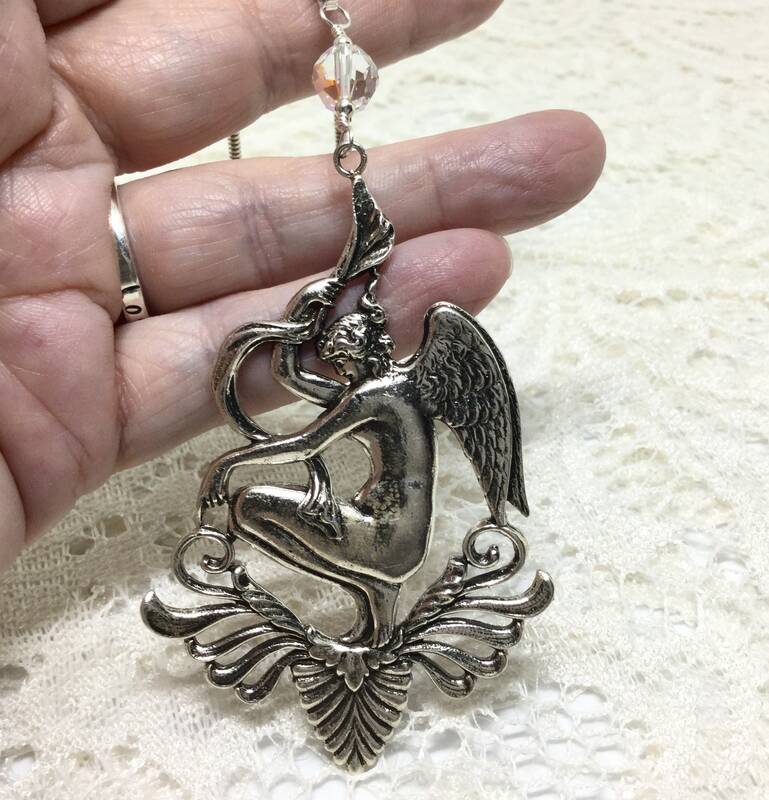 This an elegant and unique large 1980s Art Nouveau large Angel or Goddess Pendant. 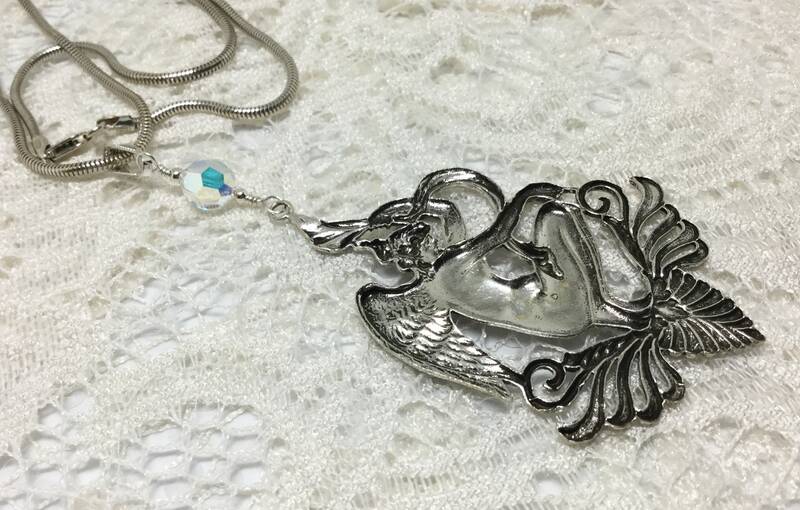 The pendant is Sterling Silver plated over brass. 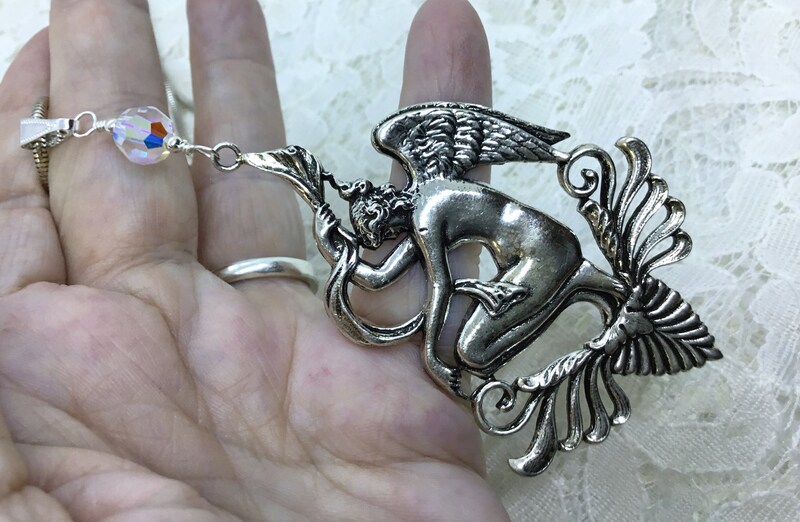 Between the bail and pendant is an 8mm clear AB Swarovski bead. 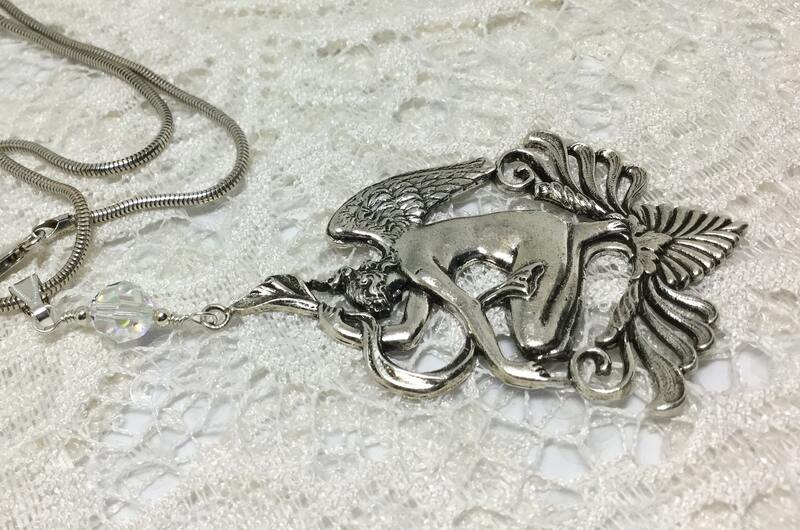 It is on a 20” Sterling Silver snake chain. 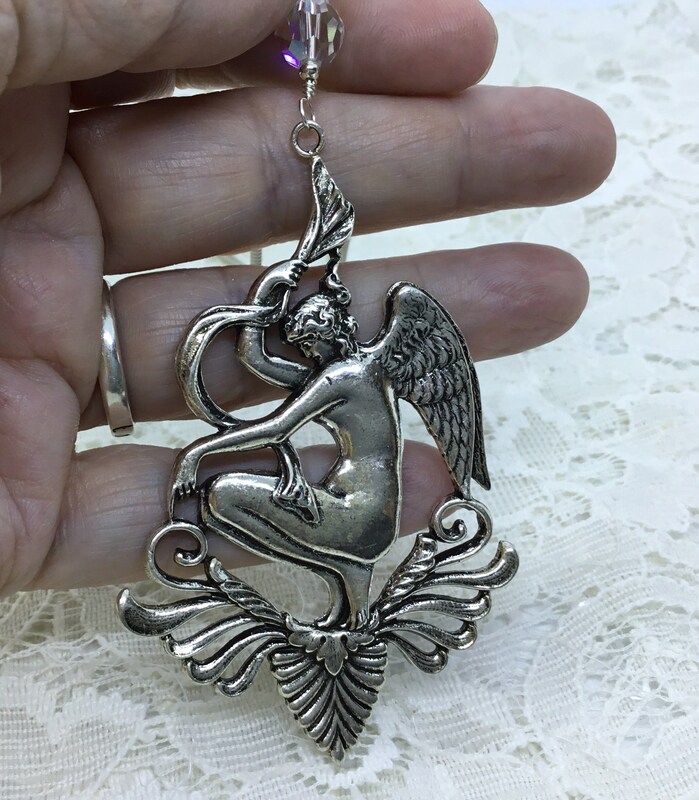 This stamping is from France and has a definite Art Nouveau feel to it. 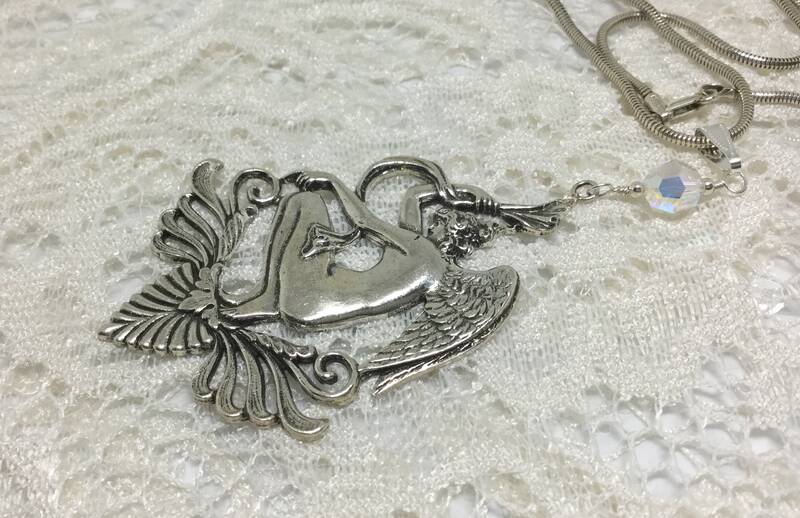 The pendant measures “ x 3”. 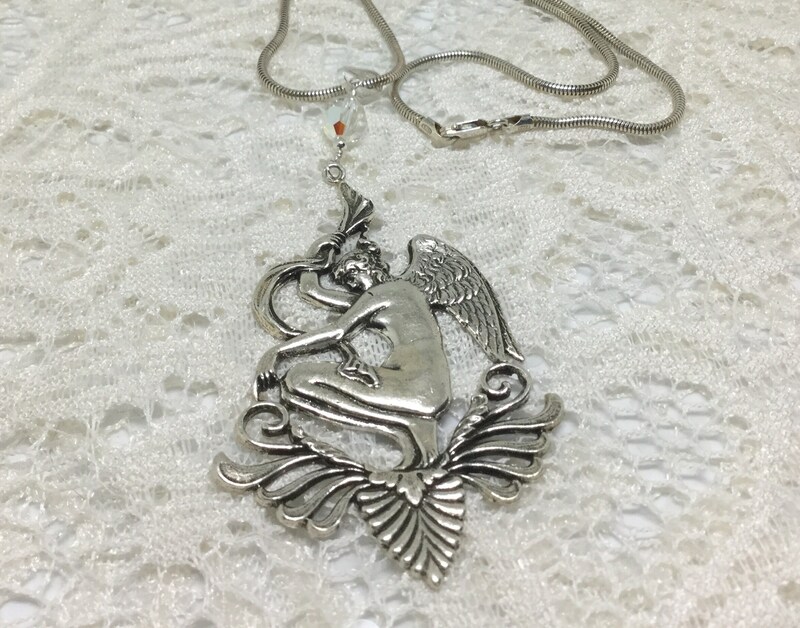 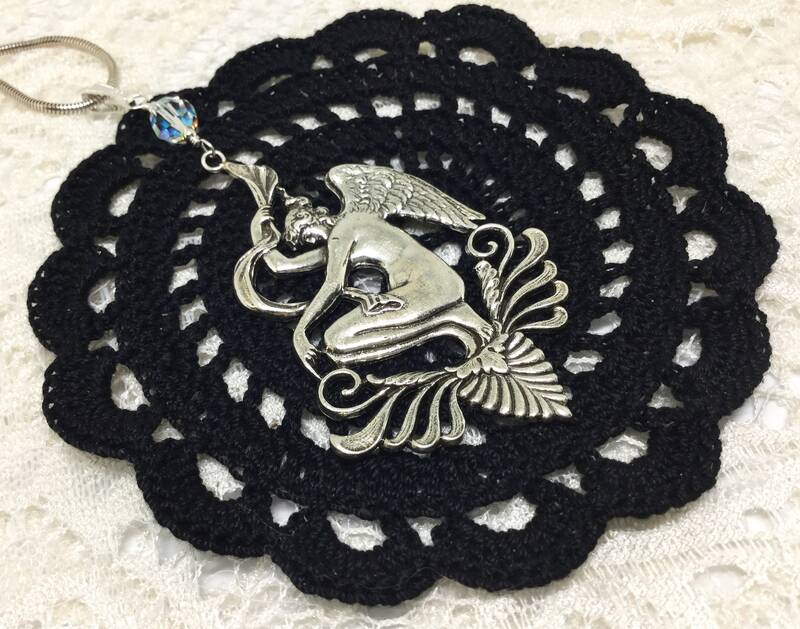 This stunning piece is great for someone who loves angels with this shiny special rendition!